MISTAKE #4: Do you know where your depreciation is? For a lot of landlords depreciation is a real problem. Landlords often don’t have a complete understanding of depreciation and aren’t able to detect when an error has been made. It turns out that this isn’t just a self-preparer mistake, but a lot of paid preparers also make mistakes when depreciating rental property. The biggest and most common mistake with depreciation? Not doing it. Rental properties are supposed to be depreciated, but a large number of landlords don’t ever depreciate their property. 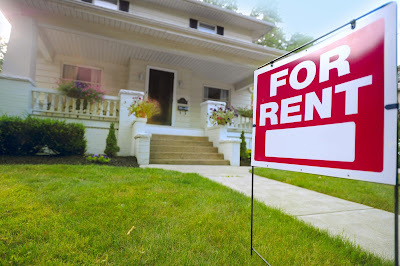 I’ve looked at a staggering number of old tax returns for new clients with rental income and asked, “But where’s the rental property?” It’s just missing from the return. The rental property will sometimes get lost when a taxpayer switches accountants, or switches from an accountant to a do-it-yourself tax software. Often, it never gets depreciated – from day 1, it was never put on the return as an asset. If the depreciation error has only gone on for a year, you can go back and amend. If it’s gone on for two years, there’s a choice between amending the two returns or the more complicated fix. If it’s been three or more years, most people will need to file Form 3115 for a change in accounting method. We won’t get into Form 3115 here, because it can be overwhelming. It’s an 8 page form with 23 pages of instructions. Unlike a lot of IRS forms, it’s not a “plain English” form, so it can be difficult for the average taxpayer to figure out. Despite this complication, you can’t just skip it. Depreciation isn’t optional. When you sell the rental property, you may have a gain if the sales price exceeds the depreciated value. If you haven’t depreciated, the IRS has the right to impute depreciation – in other words, tax you on the gain you should have had if you depreciated. You end up paying for this mistake twice – first, you miss out on the deduction each year on your tax return; and second when you sell the property and pay taxes on the amount that you should have depreciated! Coming up next: Mistake #5 - Making Stuff Up!